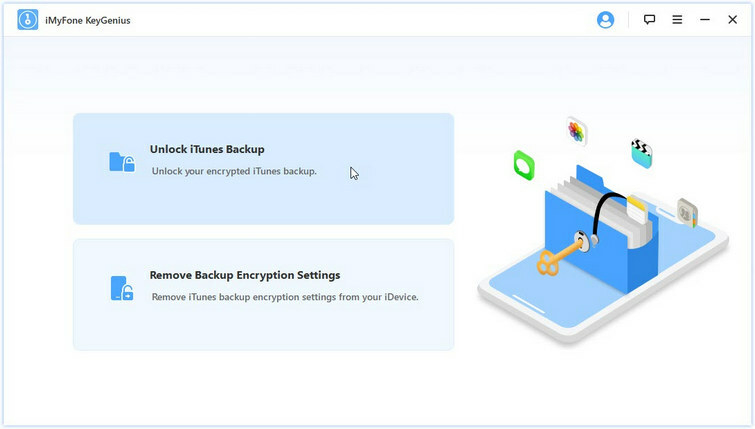 The error “the password you entered to protect your iPhone backup could not be set” may occur when you attempt to enable backup encryption or restore your encrypted backup in iTunes for your iPhone. Even if you try again, it is likely that you will see the same error message again. Fortunately, this problem can be resolved pretty easily. Part 2: Find Your Forgotten iTunes Backup Password? 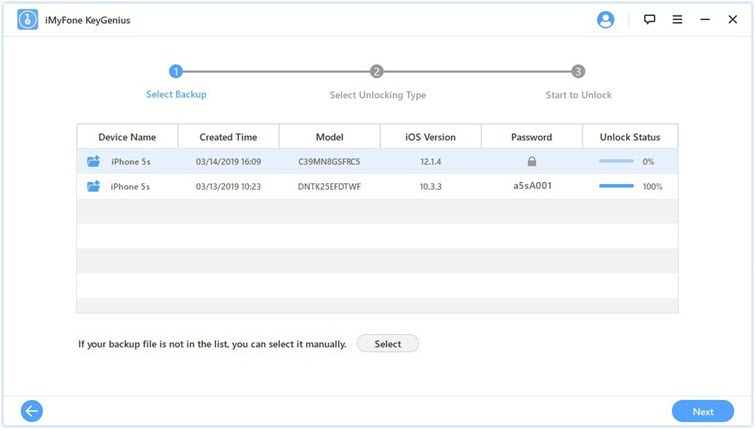 If the above-mentioned error “the password you entered to protect your iPhone backup could not be set please try again” occurs, it is highly probable that it is occurring because you are trying to restore the iPhone backup over a Wi-Fi connection. So, it is recommended that you connect your iPhone to your computer via USB or lightning cable when restoring the encrypted backup. Step 1: Close iTunes and unplug your iPhone from your computer if it is connected to it. Step 2: Then reconnect your iPhone to your computer via USB cable, but this time use a different port of your computer. Step 3: After that, launch iTunes and try to restore the encrypted backup again. Step 4: Input the password when required, the restore process should begin without any issues. Although you should first try the above-mentioned method to fix the error even if you have a Mac, there is another way to solve the problem i.e. using the Keychain method. 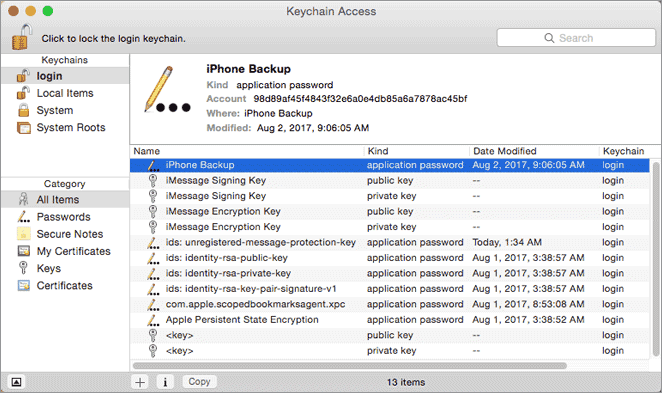 Your iPhone backup passwords are saved in the keychain by iTunes, so this method could help you retrieve the password, hence solving your problem. Step 1: On your Mac, open the Keychain Access app. Step 2: Once it is opened, click on the Password category from the sidebar located on the right side of the interface. Step 3: Now you will need to find the backup keychain. If there are several keychain items, then it is recommended that you input “backup” in the search field so that your search is narrowed down. Step 4: Once you have found it, select items labeled as “iPhone Backup” or “iOS Backup”. Look at the Account field to find which device an item relates to. You can retrieve your device ID easily with iMazing. Step 5: After identifying the keychain item with your device ID, open it and then click on Show Password to view the encryption password. Now use that password to restore your encrypted iPhone backup. How to Find Your Forgotten iTunes Backup Password? If you forgot iTunes backup password, you won’t be able to access your encrypted backups. Fortunately, you can find the password easily. To do this, it is recommended that you use the powerful iMyFone KeyGenius. 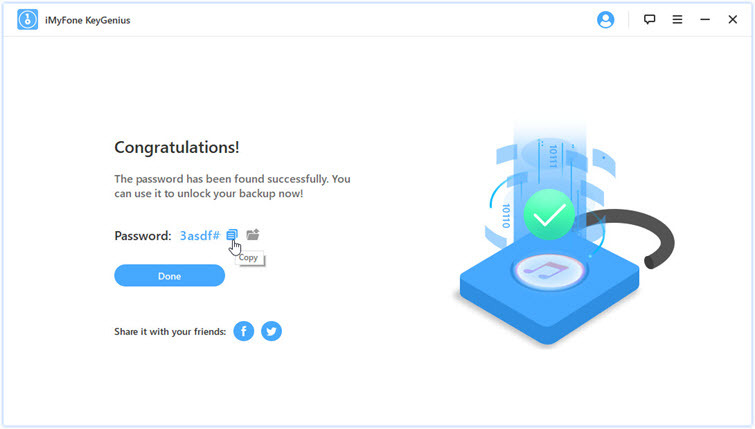 This professional iTunes Backup Unlocker will help you find your forgotten backup password safely and flexibly. Unlock your encrypted iTunes backup when you forgot the password. 100% safe to use. It won’t do any damage to your backup during the unlocking process. Three flexible ways to help you find your forgotten password back. Remove backup encryption settings from your iPhone with lightning fast speed. Step 1: On your computer, launch KeyGenius. Then select Unlock iTunes Backup option. It will scan the backup on the default folder. 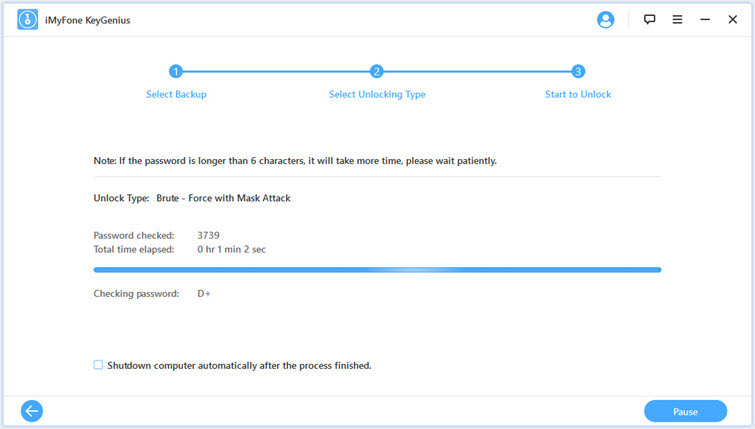 Step 2: Select the backup you want to unlock, then click on Next button. 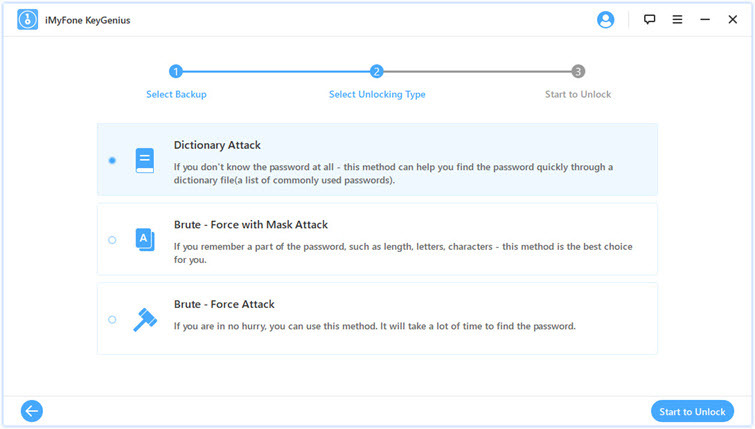 Step 3: Next, choose the unlock method, here recommend the Brute-Force with Mask Attack. Then click on Next to provide as much information as possilble to get your backup unlocked quickly. Step 4: Click on Start to Unlock button to begin the process. Once it find the password, you'll be able to use your backup normally! Restoring an encrypted iPhone backup could become very challenging if it keeps asking for password again and again. Fortunately, there are ways to solve this issue. However, if you forgot the iTunes backup password, it is recommended that you attempt to unlock it via iMyFone KeyGenius as it is programmed with the latest decryption technology.